A week and a half ago, one of my buddies called to see if I have any connections for finding four tee times for his bachelor party yesterday in Wisconsin Dells. With it being “Automotive Week,” every course in the city seemed to already be swamped, or at best with full-season rates up to $95 per player. The group won’t go for that, he said, and I cannot blame them. I made some calls and found the same issues – Wild Rock, Trapper’s Turn, etc. – all booked solid. 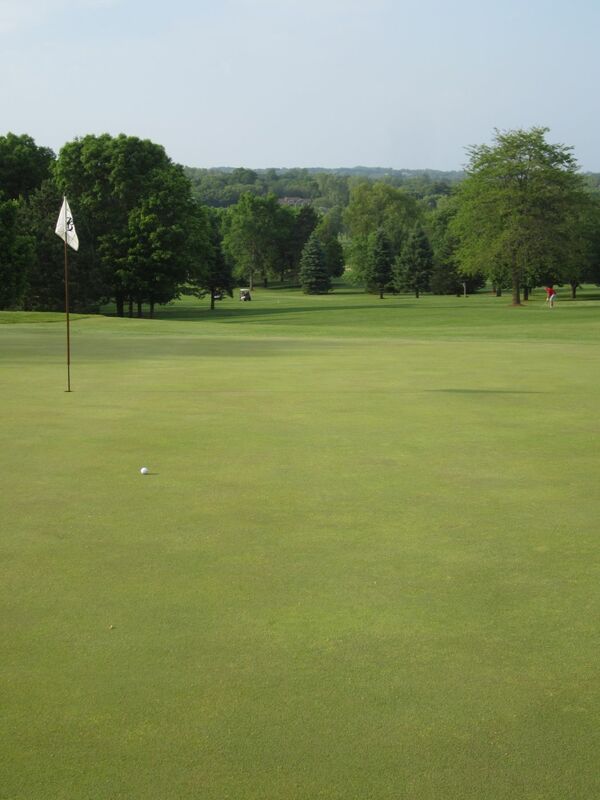 I went on GolfNow.com to look up other courses in the area, and came across Baraboo Country Club. The rates seemed ideal, and I recommended to Tad that he give them a call. 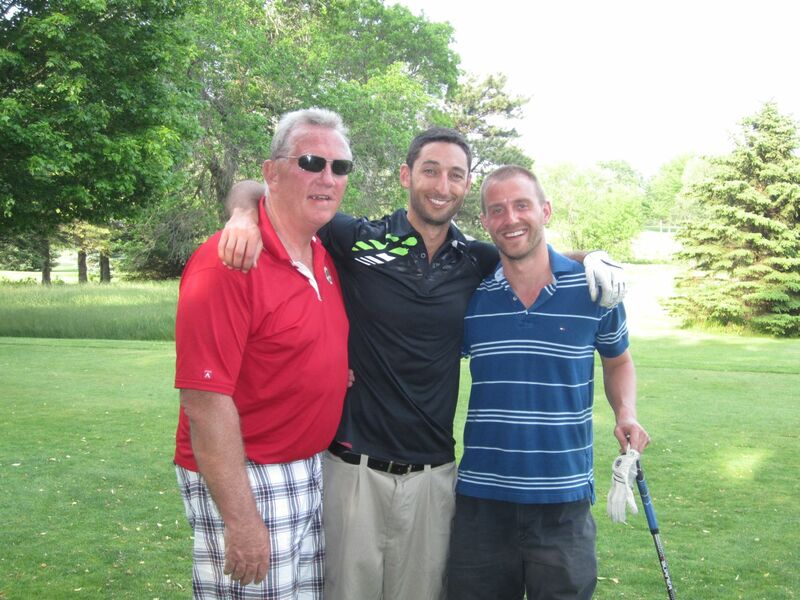 There were no issues getting consecutive tee times, and we were able to book it for $39 apiece. Twenty minutes outside of the Dells, Baraboo Country Club delivered in a big way. I was excited to get to the pro shop and find an old friend, Angel, at the front desk. Angel was an Assistant PGA Pro at Brown Deer during their later Greater Milwaukee Open and US Bank Championship years, and has been at Baraboo for the past three. He is also one heck of a nice guy. The rest of the staff was equally as friendly and accommodating, especially the General Manager, Clint, and the beverage cart girl who was extremely pleasant. The practice green was an eye-opener, to say the least – very quick with a huge uphill slope toward the bottom half. Take a lesson from this practice green, and understand early that you don’t ever want to be above the hole on this course! 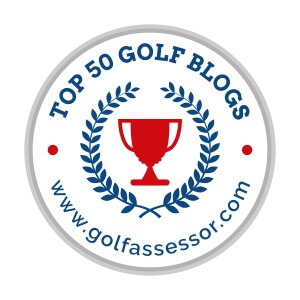 This is one of the most relevant putting greens I have found to getting a real read on what to expect on the course. I find so many times that practice facilities and the actual course experience don’t match up. This is not the case here, so spend some time trying to stay close to the bottom holes on downhill putts. 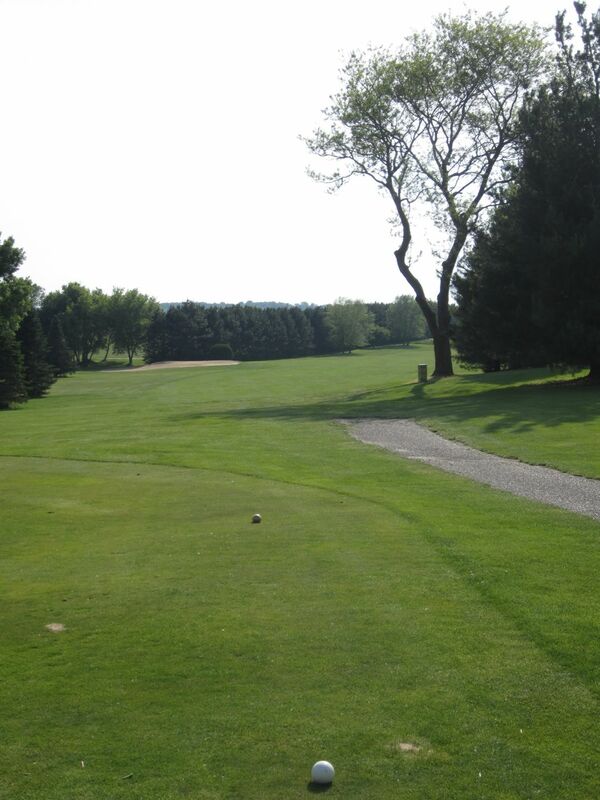 Baraboo Country Club plays like many older courses and country clubs, with a lot of slope, forgiving rough, tall tree lines, ideal sand conditions, and several shared tee boxes. Unlike many mature courses, though, the conditions were absolutely phenomenal. These greens were some of the toughest I have played, and were so fast that almost all greens had to be run on to for any chance of holding. Baraboo has some of the fastest, most true greens I have played, rivaling those of Hawk’s Landing and the Brute at Grand Geneva. The course claims they run at a ten on the stimp-meter, but I would almost expect that to be higher. With two par threes and several forced lay-ups, drivers stayed in the bag until the fifth hole, which was unfortunately straight in to the teeth of a 25-plus mile per hour wind. There are three par threes and three par fives on the front nine, and Draper Creek meanders through the first eight holes, contributing to this being is a very strategic golf course. The par threes are very interesting, with good distances that range from 145 to 179 yards from the white tees (171 to 201 from the blacks). 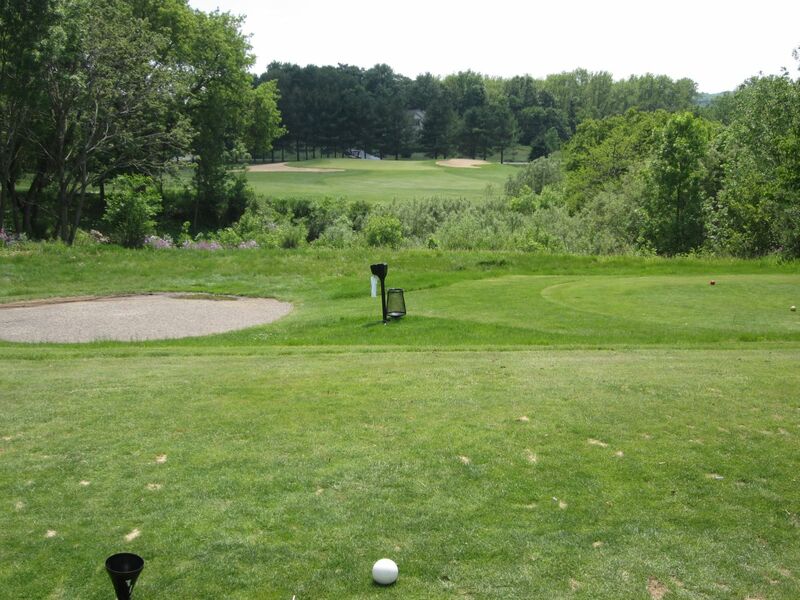 The course itself is not staggeringly long – only 6,311 yards from the white tees, and 6,591 from the tips. There are plenty of challenges to keep players on edge, though, including forced cuts and draws off of several tees. The toughest hole on the course is the par five eighth. The landing area is littered with smaller trees and a mounded waste area to the left. Almost any drive will require a lay-up to the creek front, which fronts a huge uphill climb to a well-guarded green about 130 yards (and probably 30+ yards uphill) past the creek. Sand is on each side of the green, and as with all holes here the putting surface is heavily sloped from back to front. The one complaint I have about Baraboo Country Club was the amount of time it took to get food at the turn. Cold turkey sandwiches took ten minutes, forcing us to allow several groups to play through. This was not a big deal, though, as we were playing with a fivesome that was allowed, provided we kept a good pace of play. This was a very interesting day to play a putting game, as everyone contributed to the kitty for three-putts. There were a lot of them, although Tad’s future father-in-law somehow got through all eighteen holes with only 25 putts! As for myself, I broke my previously mentioned golden rule of staying below the hole time and again, and finished with 36. I cannot stress enough how challenging these greens are. Many downhill putts were considered successful when they stopped within ten feet of the hole. 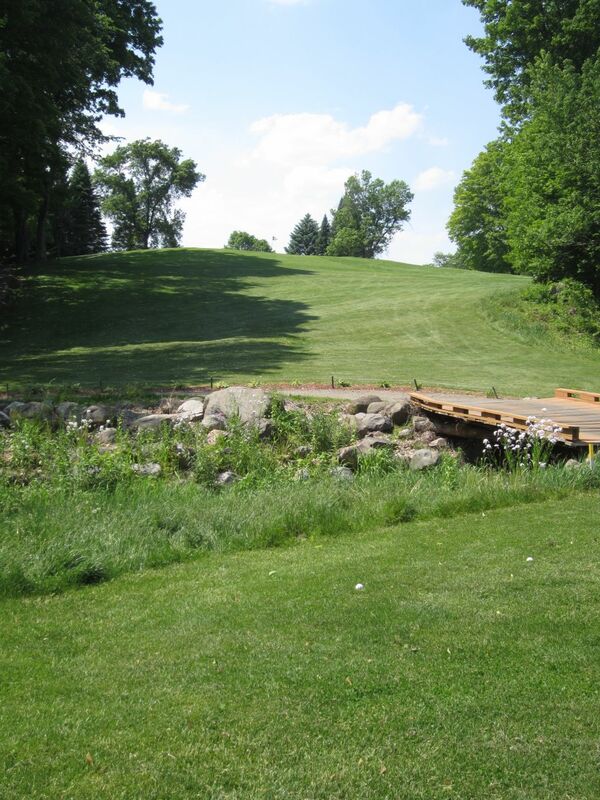 Everyone in our group agreed that Baraboo Country Club was a wonderful surprise, and a fantastic value. Just several miles from Devil’s Head, there couldn’t be more of a difference in course quality and conditions. Devil’s Head was rated my number one biggest disappointment of 2011, based primarily on course conditions and regular season rates. 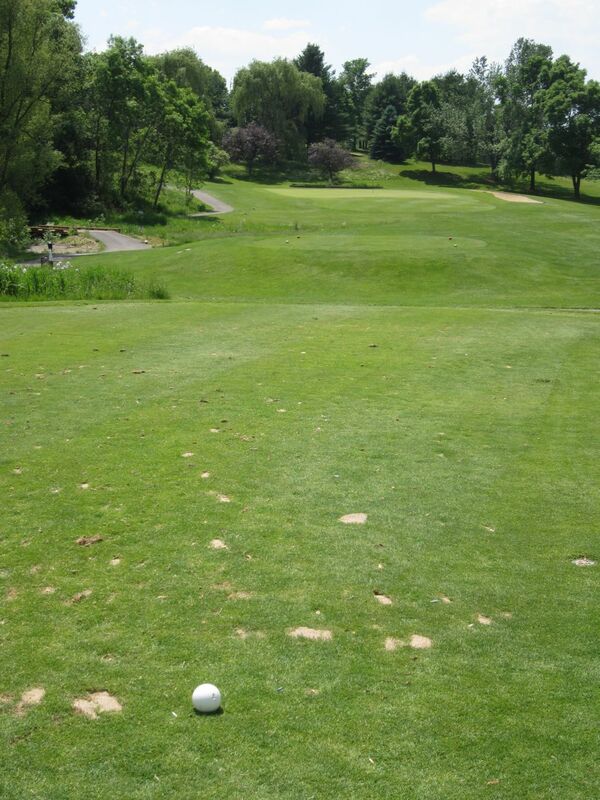 At $79 per player, comparing Devil’s Head to Baraboo Country Club is like comparing Currie Park to The Bog. The care that goes in to the daily maintenance of this course is evident, and quite impressive. Like Devil’s Head, it also features some fantastic views of the Baraboo Range and Devil’s Lake area. 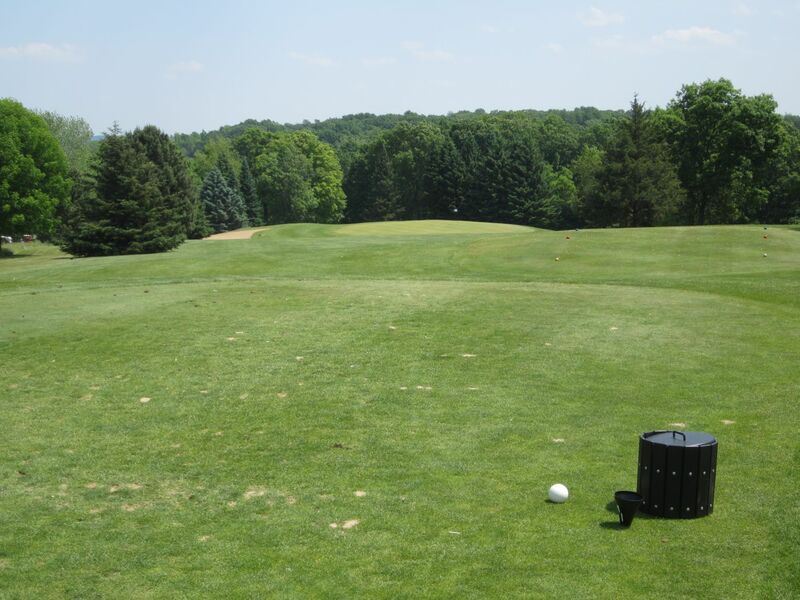 The next time you find yourself putting together a golf outing in Wisconsin Dells, and are having a hard time finding reasonably priced tee times, I recommend checking out Baraboo Country Club. You will not be disappointed!